This week’s townland of Ballygrot is much more attractive than it sounds. 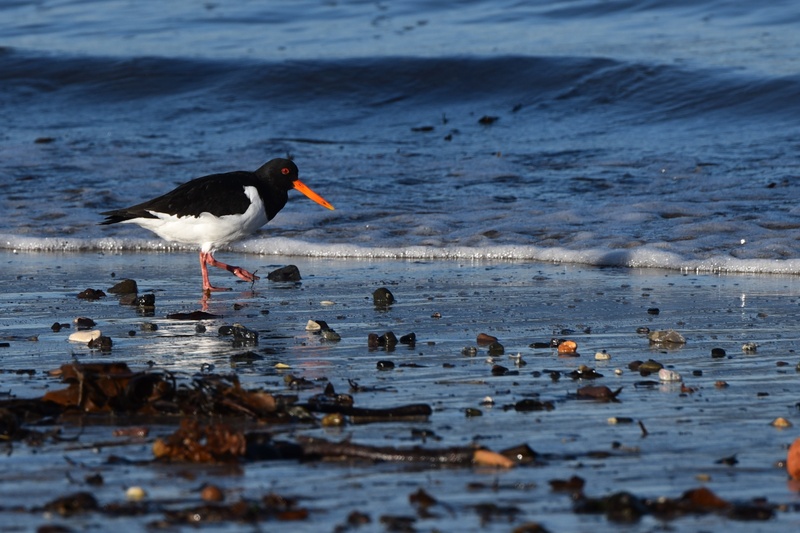 It is on the North Down Coast between Holywood and Bangor, and contains sandy beaches and colourful oystercatchers. Forget about anything being “grotty” and think instead of “townland of small hillocks”, from the Irish Baile na gCrot. PLACENAMESNI gives the meaning as “townland of the small eminences”. 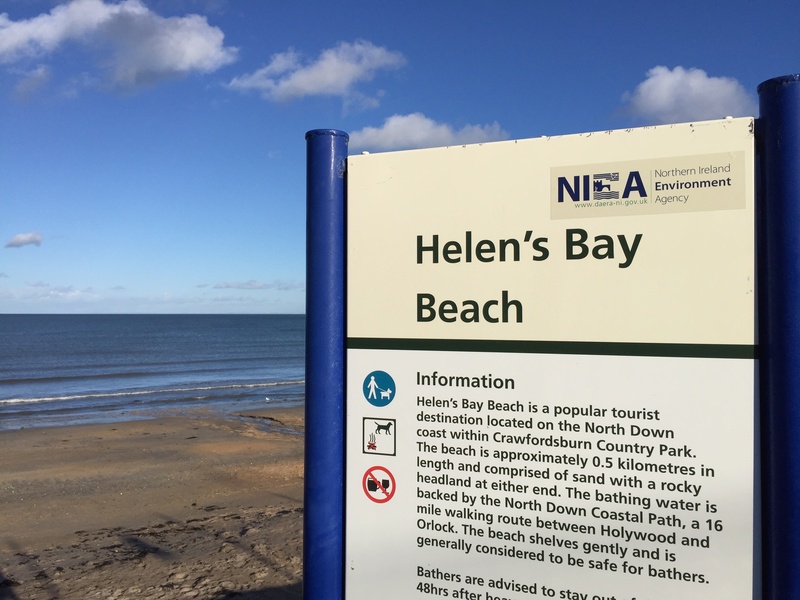 One of the beaches is at Helen’s Bay. If you approach Helen’s Bay along the Craigdarragh Road, you leave the townland of Ballyrobert and enter Ballygrot before you pass under the railway bridge. 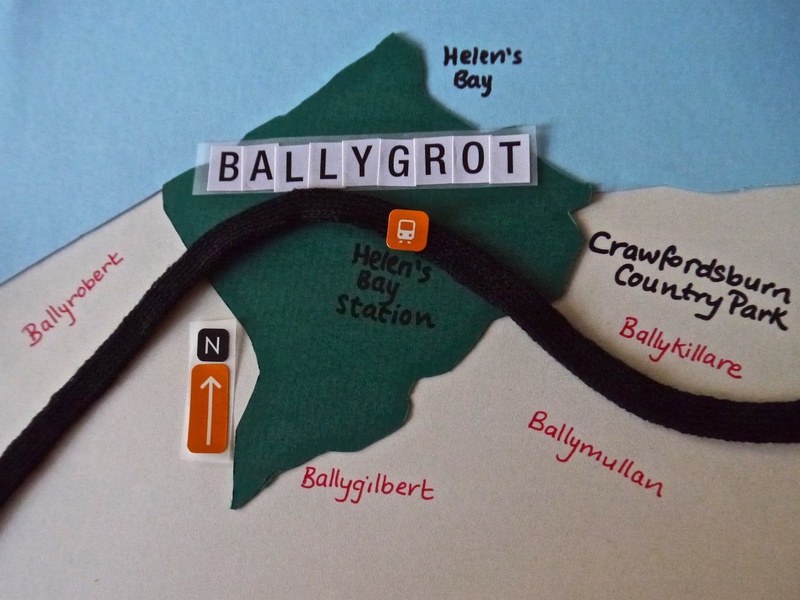 Helen’s Bay railway station and golf club are both inside Ballygrot. Parking in the carpark on Fort Road, I stopped to read the panels of information for tourists. 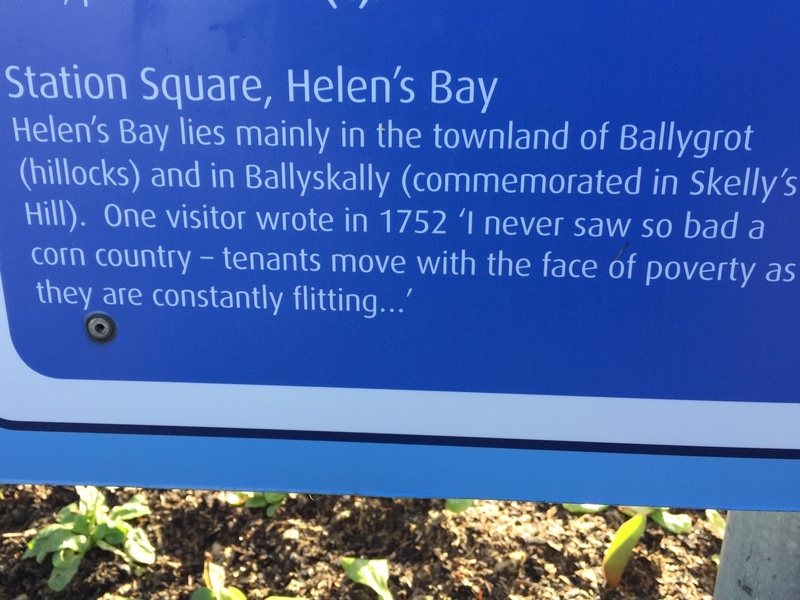 This sign mentions the townland names used in the 17th century – Ballyskally (or Ballyskelly) and Ballygrot. The two townlands have now merged into one, but you have to wonder why the “grotty” name was the one that survived when they had the chance to use Skally or Skelly. 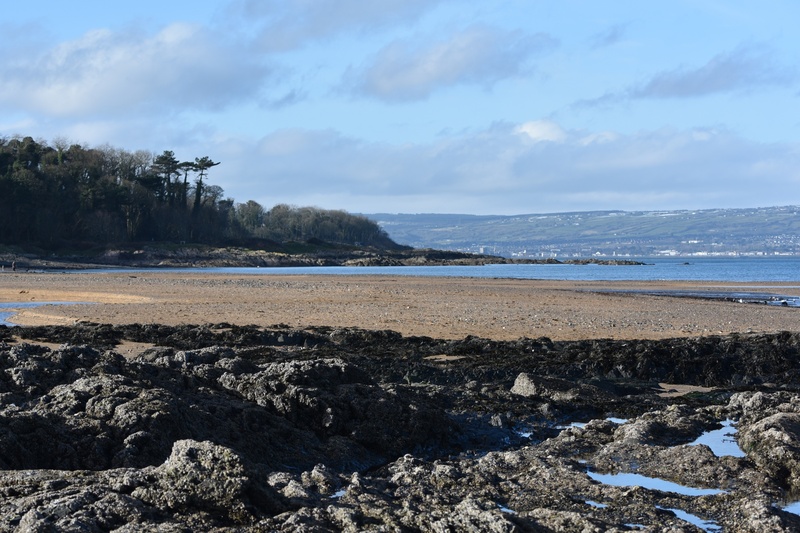 The townland of Ballygrot can claim half of another beach, in Crawfordsburn Country Park. But once you cross the river, known at that point as Crawford’s Burn, you move into the townland of Ballykillare. A good resource for the history of Crawfordsburn and Helen’s Bay is the book “Twixt Bay and Burn” published in 2011 by the Bayburn Historical Society. A PDF is available from www.bayburn.com. I’ve mentioned the North Down Coastal Path on this blog before, as I’ve walked different stretches of the path from Holywood through the townlands of Ballykeel, Ballymenagh, Ballycultra, and Craigavad. Click here for a link to a guide to that path from WALKNI. Which townlands border Ballygrot? Ballymullan, Ballykillare, Ballyrobert, Ballydavey and Ballygilbert. Click here for a map of Ballygrot on Townlands.IE.